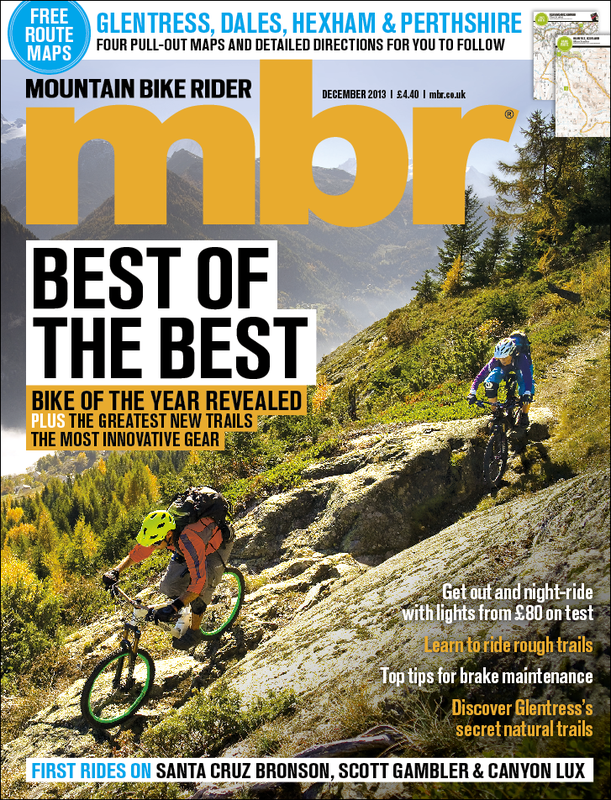 Bike of the Year — we’ve whittled down the cream of the crop, specifcally every model that has scored 10/10 in MBR this year, to reveal 2013’s most impressive bike. 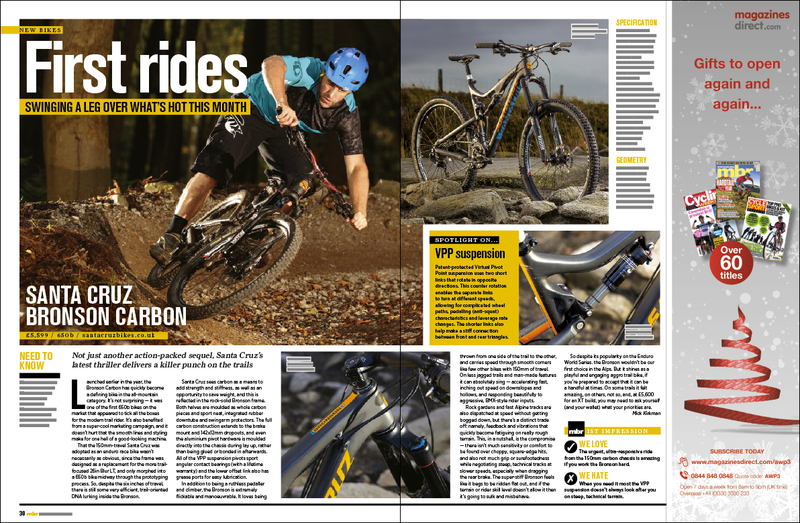 In a year that has seen the introduction of 1×11 drivetrains, aggresive big wheel rubber and game changing forks, we also run down the year’s most innovative products. 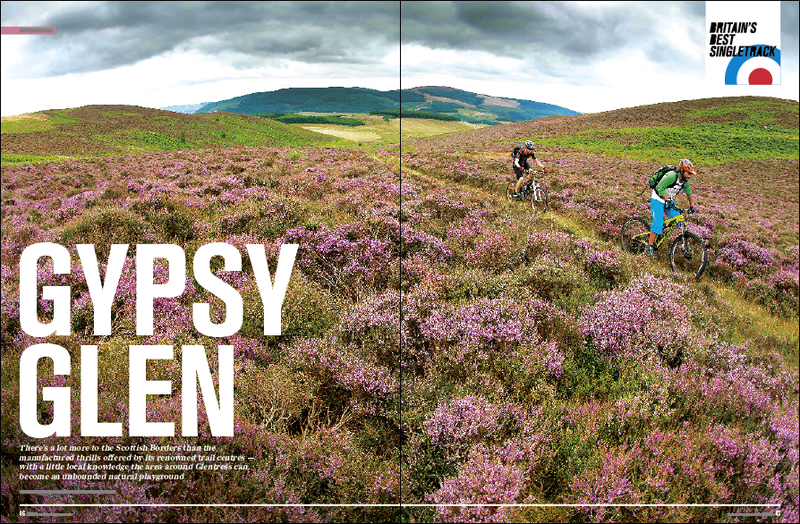 Heading out on a roadtrip around the UK, we explore the fantastic new trails that have sprung up in 2014. 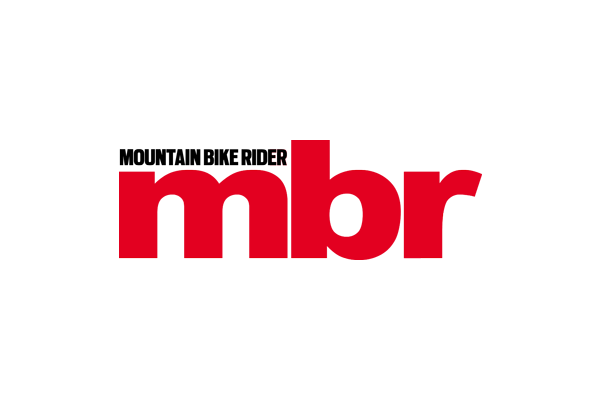 Trails like the new Manchester velodrome’s new singletrack, the Afan Bike Park, Sheffield’s Parkwood Springs and Bike Park Wales. 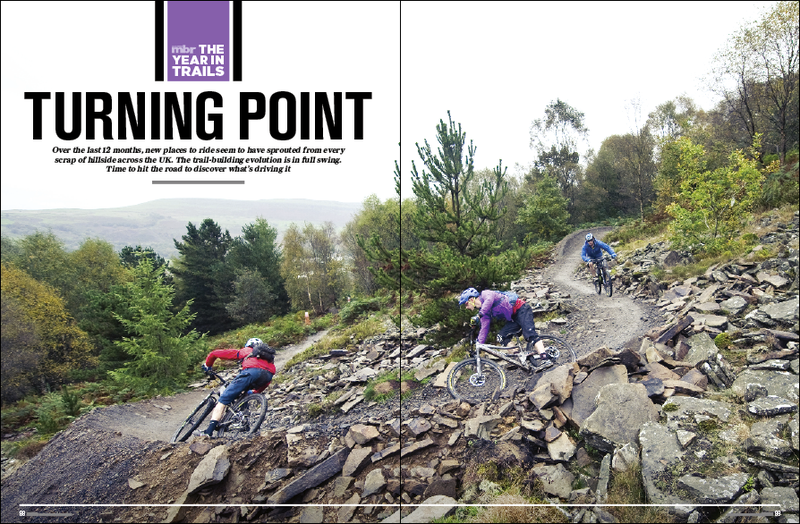 We’ve also got a little-known pearl of singletrack just over the hill from Glentress and free pull-out routes for Yorkshire, Northumberland and Perthshire. 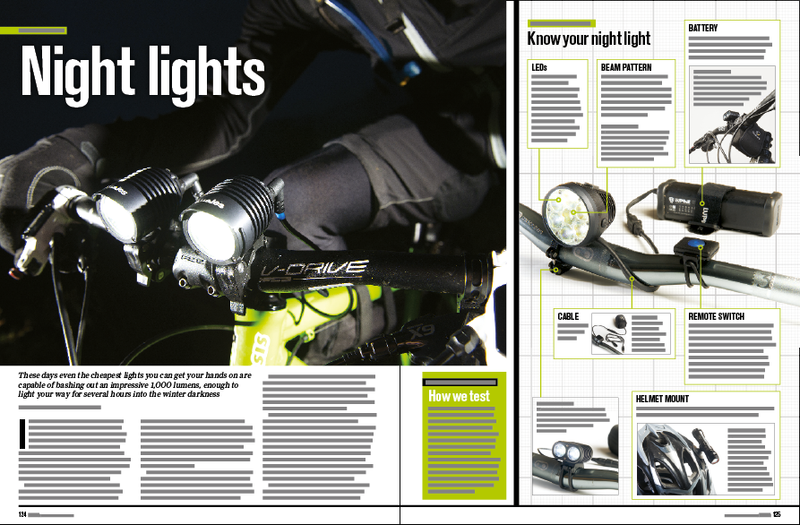 Hope’s popular Pro 2 hubs are the subject of our workshop how-to. They’re simple to service and choosing to DIY could save you £30! 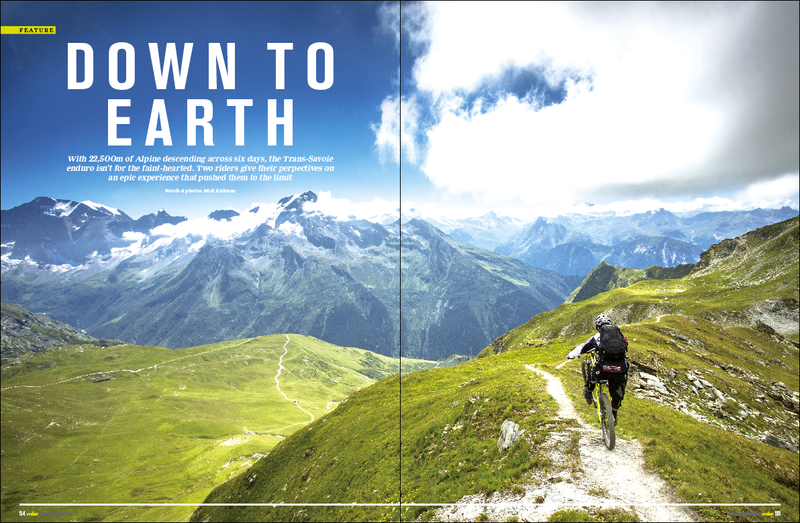 Discover what it’s like to race a multi-day Alpine enduro with the inaugural Trans-Savoie. 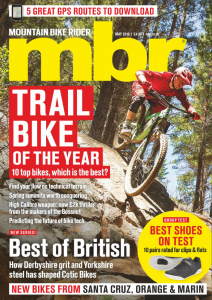 And there’s loads more, including tips to silence your bike, how to set-up your disc brakes, tips for riding a rutted trail and new bikes ridden from Santa Cruz, Scott, Boardman and Canyon. Alpine riding holiday not enough? 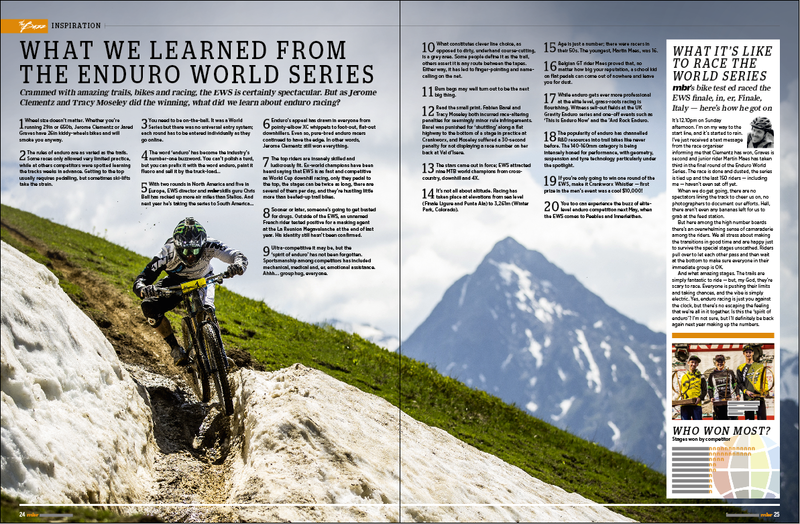 How about enduro racing across the Alps? 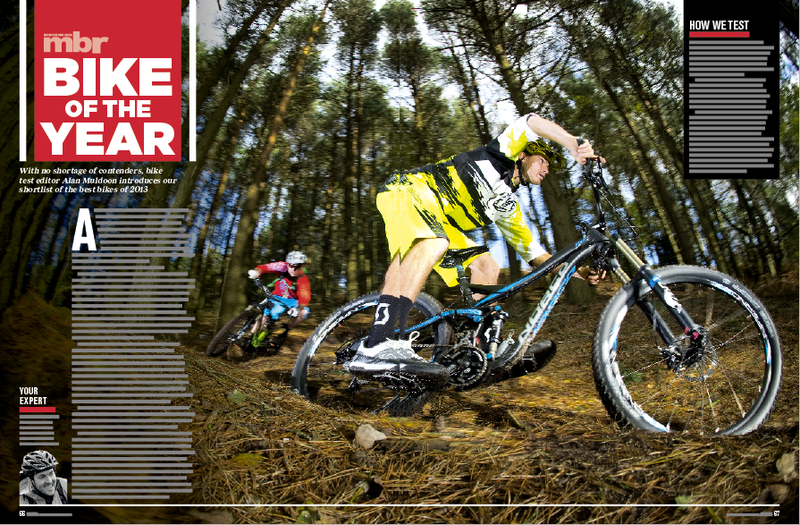 Which model will win our coveted Bike of the Year rosette?